PoleCon workshop leader and performer, pole competitor and instagram sensation—we sat down to talk with Lindsay “Agent” Lithe. Mica (M): How did your pole journey start? Lindsay (L): I was in a bad relationship and wanted to get back to doing athletic things like I did when I was younger like team sports. I was driving one day and I saw a sign for a new pole dance studio opening. I had been wanting to try a class for years, so I convinced a girl friend of mine to come to a class with me and instantly I fell in love. I started taking classes weekly and then multiple times a week and bought my own pole one week after my first class. I was stoked to progress, and improve, and learn all I could. M: How old were you? L: When I took my first class I was 21 years-old. M: How many times a week do you exercise? L: I train at least 5 times a week, on average 2-3 hours everyday of pole. M: When did you start taking pole more seriously? L: I started taking pole more seriously (up to 7 classes a week plus home-training) about my third month in, so the summer of 2013. M: When was your first performance? L: My first ever performance was a studio showcase 7 months after my very first pole class. I danced to a Glitch Mob song. M: What is the most common mistake among pole artists? L: Common mistakes are not conditioning and strengthening enough before moving to advanced moves. The desire to succeed and progress outweighs the desire for training for injury-prevention and the ability to dance and pole forever by developing muscles slowly and with proper technique. Another mistake is comparing oneself to others in flexibility, how fast people have advanced, and things like that instead of loving the journey and realizing everyone’s is their own. M: What is your current pole nemesis? My most difficult pole trick I am currently working on is a Fonji to cup grip iron X with perfect technique (I learned it as the “Kamikazee”). Another one is the Fonji 360 while staying on the same side of the pole. Also cup-grip Ayesha ‘round the world’ deadlifts. I have a lot of things I am working on. Hahaha. M: What is your favorite pole move? My favorite pole moves will always be an Iron X and a Fonji. M: Where/who do you get your inspiration from? L: I get my inspiration from many other pole artists. People like Julien Miguel, Phoenix Kazree, Dimitry Politov, Rafaela Montanaro, Anna Maija, Amy Hazel, Olga Trifonova, Hanka Venselaar, Carlos França, Sai’len Jaeger and many others. M: What training regimens/Diets do you have? L: When I am training I like to have as much energy and muscle-building/recovery nutrients in my diet. I drink TONS of water, carrying a water bottle everywhere. I eat a lot of sweet potatoes, brown rice, quinoa. I eat a LOT of protein with every meal like chicken, fish, tuna. I also hate to cook so I eat a lot of protein bars and protein shakes. Lots of fruits, lots of bananas and avocados specifically, and vegetables too of course. M: What competition are you currently training for? L: I am currently training for an entire year of competitions coming up. 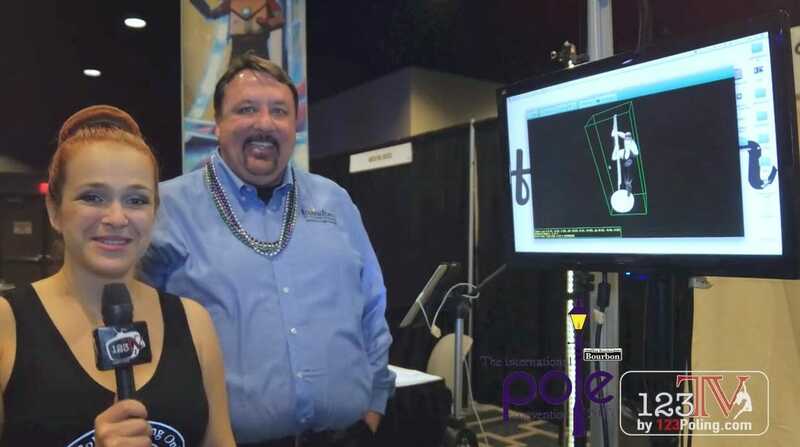 USPSF in Florida in March, Pacific Pole Championships in April, North American Pole Dance Championship in July, Pole Theatre USA in September, and Pole Expo in September. M: Are you currently on tour? L: I am not currently on tour because I am in school and working at an internship. I am getting my Masters in Social Work from the University of Southern California and I am working at a rehabilitation center for addiction recovery as a therapist for my school internship. I will be going on tour as soon as school is out in May in the UK. M: What is your favorite workshop to teach? L: My favorite workshops are Spin Pole Flare(TM) as well as Spiral Lithely(TM) and Monster Status – The Right Way (TM). I love spin pole and advanced, dynamic tricks. 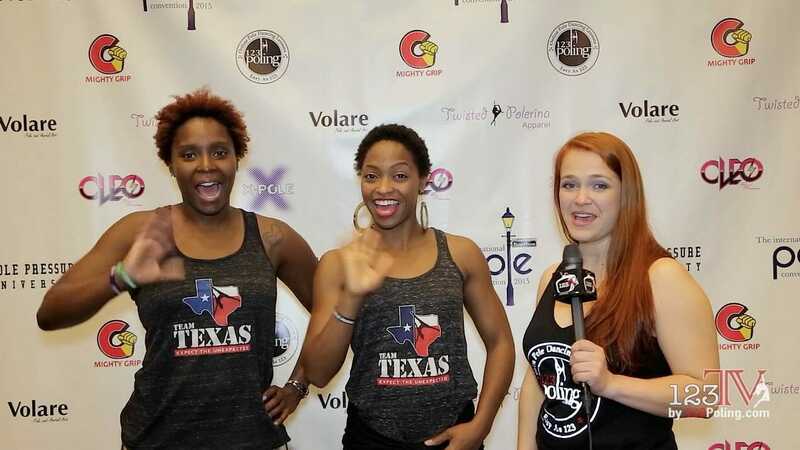 I am very in love with advanced technique and teaching pole dancers how to acquire the technique and knowledge to prevent injury, build the right muscles for their dream tricks, as well as how to save their energy in the process. M: What is your favorite genre of music to while poling? Metal and rock and roll, definitely. My favorites are Aerosmith, Megadeth, Alice Cooper, Metallica, and various other class rock bands and metal bands. I also love some dub step like Skrillex, basically anything that’s high quality music that gets the heart racing. M: Why is it important to brand yourself? Every single person brings something unique to the table. It’s important to find what that is, excel at it, package it in whatever way to present it that you can, and push that out into the world. I am all about showing my hard work, effort, and putting my name on it because I earned it. It’s important to have others recognize your hard work as yours and want to be a part of that, whether it be by looking at it, being motivated by it, sharing it, or purchasing it. M: How would you explain your style of pole dancing? 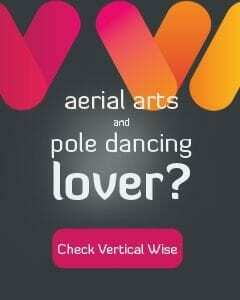 I have always loved the dynamic and entertaining and athletic aspects of pole. I love the tricks and combinations that are fast and crazy that make people go “WOW! WHAT JUST HAPPENED?! I’m going to need to go back and watch that again!” I love the circus-style “wow” factor and I love the difficult things like strength and tricks that take a long time and dedication to get to. I like to push myself, stand out, do it correctly and safely, and see what I can do with my body and how far I can push myself past my boundaries of fear or whatever else it may be to do whatever I want. Thanks Lindsay! Check out her upcoming workshops at #polecon2017!